Hello peeps, it's been a week since the last update on my blog. It's almost half way through the first month of 2014, how has it been so far? Mine has been really busy because CNY is so near! So many things to do with so little time. I have not even started my CNY shopping! I long time never shopping ady, want to get some new clothes to wear leh.. if not everyday wear the same set to work, later people thought I never shower.. Okay, enough rants. So where was I? Oh, I've not even started. Sorry. Thanks to Kim, we were hosted by Soap Gallery for product review 2 weeks ago. As it's name sounds, it is a shop that sells soap. Hmm.. what's so special about it then? Well, Imma talk about it. But first, how about some background check? Soap gallery is a certified registered company in Malaysia. Their soap are natural handmade based on simple formulations and are not tested on animals. It was said that they use organic herbs and oils as much as they can to ensure their handmade soap to be as natural as possible. Environmental Friendly, No Animal Fat , No Preservative, No SLS and No Alcohol is what they claimed for their handmade soap. Sounds good right? The one I visited is at KSL city. Their main HQ is located in Taman Molek and they had just launched their new outlet in Sutera Mall. It's hard to not notice this shop for it's lovely country window display. When you stepped in, a mild natural fragrance greets you a warm welcome. It is just very relaxing when you are inside the shop. The first item that draws my attention are the bath sea salt. I've used sea salt for shower, it is good in exfoliating and really improves my allergy but I've not seen used any that comes in flavour. There are 3 flavours available: Lemon, Rose and my all time favourite Lavender. Each provides different add-on effects. I took lavender of course. Some of you may ask how to shower/ use bath salt? Here's some examples for your reference. If you have bath tub at home, soak yourself in sea salted bath tub for 15-30 mins like how you enjoy a bubble bath. Just relax. You may also use it like how I did (no bath tub at home la). This lavender bath salt has become my alternative exfoliating product other than Cure. I use it twice a week after normal cleansing and it doesn't dries up my skin up like some other exfoliate products did. Always feel refreshing and really feels good to touch on my clean and smooth skin after using it. To use it as exfoliate medium, simply scoop a little bath salt, rub/ massage your face in circular motion gently (your face is not a piece of rag) then rinse with luke water. Of course, it is not only limited to facial use but the whole body. Alternatively, you can use it to soak your feet especially those that have cold feet (like me). It helps to improve the cold feet situation and somehow improves menstrual pain too. I guess I can now change my normal sea salt scrub to this lavender bath salt because I really like the mild lavender fragrance on my face after using it. Makes me smells good! lol. How can a soap gallery be soap gallery without soap right? The star product of all- Handmade Natural Soap. They use Cold Process (CP) to produce highest grade handmade soap, the majority vegetable oils including olive oil, palm oil, coconut oil, rice bean oil, sunflower oil, sweet almond oil and other exotic oils with rich butters. Essential oils, herbs, grains are added to produce Soaps with a rich, creamy and luxuriousbiodegradable lather. Some soap has more complex raw materials. Flowers/ seeds have to be soaked in the chosen base oil for at least 1-3 months before it is ready to be used. The soap that I've gotten is one of it that requires longer processing time. 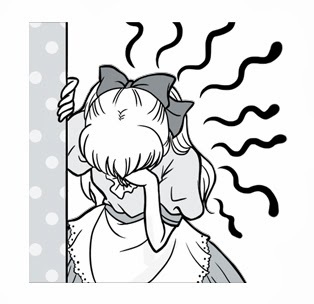 I was recommended to take Chamomile soap because I have sensitive skin due to my eczema. After 2 weeks of trying it, I do feel that my skin is less drying compared the use of normal shower gel. It is more moisturizing and milder because of it natural ingredient and best of all it doesn't irritates my skin! That's a very good thing! Why? Well, because whenever my skin got irritated, it dries and itch. When it itch, I have to scratch which means awful scars!! I hate that. They also use herbs and spices to creates some weird wonderful colours to give their soap a more fun look. A nice looking soap with wonderful effects, what more can you asked for? Besides the normal plain block shape, they also have customized soap that is perfect for gift. You can even customized it as your wedding door gift! It's nice, cute and practical isn't it? Besides that, did I not tell you that Soap Gallery provides full range of Soap Making Courses? The course includes raw materials and formulation calculation. Sounds pretty fun right? I think it's gonna be fun if you attend the course together with family and friends! You can check the course details >>here<<. Floral water can be used as toner. I got myself a chamomile mist (although rose water smells much nicer) for my sensitive skin. Has been using it for 2 weeks now, and I have to say I like it, it calms my skin effectively. Hand soap. Grab a bunch, put it into a hanging net for hand washing. Pure Shea Butter. Perfect for those with dry and sensitive skin. Shea butter has saved me countless times from Eczema horror. Aroma therapy essential oil. Wanted to get the Good Sleep one, but too bad it's out of stock. Alternatively I picked a pure lavender essential oil.. It is for my aroma oil necklace. Soap gallery does sells aroma oil necklace but I don't fancy any of the available choice so I decided to get my cousin in Japan to buy for me as he is coming back this CNY. I will blog about it after I get my hands on it. Hehe. Refreshing balm. Apply at needed area or can be use as massage balm too. Aloe Vera moisture soothing gel. Since young I know that Aloe Vera is the all mighty magical plant. My mum used to plant them but can't remember due to what reason it was gone. I still remember last time whenever we are hurt, mummy will go to the garden and pluck a small piece of Aloe Vera to apply it for us. All wounds will just magically cured/ healed within 2 days. Then when I grow older, I even use it for facial mask. What can I say? It is the best magical plant ever. I wanted to get one but it's again out of stock. It is one of their star product, so grab it whenever you sees it on the shelf. RM45 for a reasonable big tub, damn worthy. Whoops! They even carry shampoo and conditioner! OMG, What? They have dishwash cleanser and laundry soap too? Wow, that's a full range of products isn't it? I think I should get one each for mummy to try. 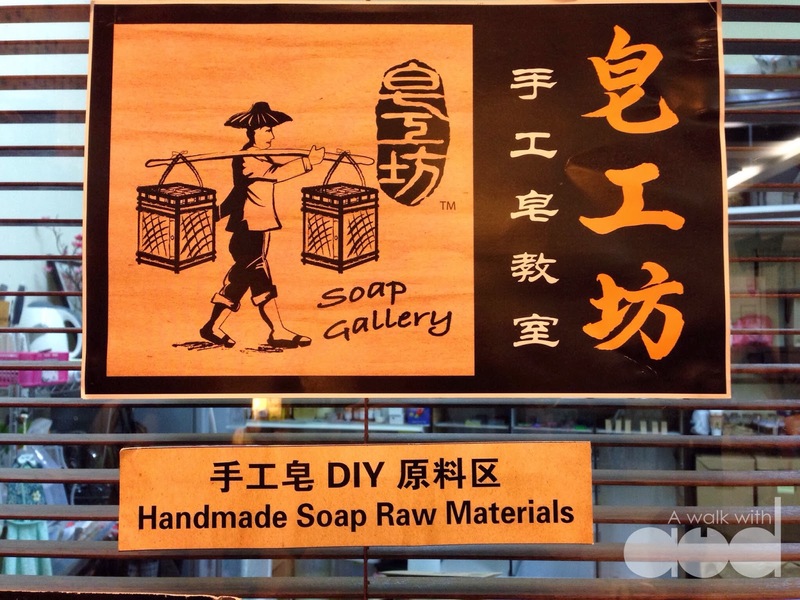 Soap Gallery- Natural Handmade Soap is proudly made in Malaysia, Johor Bahru. Soap Gallery is one of my new discovery, so far I have not encounter anything that I don't like about it (true and sincere statement). I love the awesome natural product with reasonable price, love the country hommy deco, and I love the friendly staff that answers to all questions with excellent attitude and service. If you have time, if you are somewhere near to any of its branches, or if you wanna try something different than normal commercial products in hypermarts, drop by to soap gallery. But, if you wanna try but yet lazy to go all the way to the stores, get them with just a few clicks >>here<<.